(RT) — With digital advertising long tapping into users’ mobile habits, traditional advertisers have felt left in the dark ages. 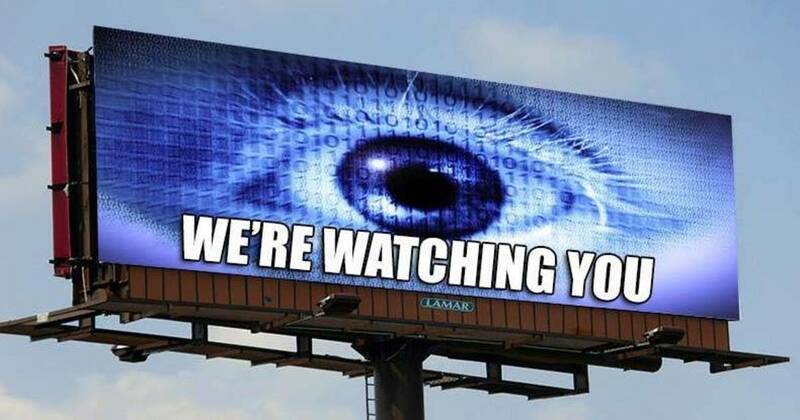 But billboards are about to get smart, and technology would allow them to know where you’ve been and where you go after you see them. Advertising giant Clear Channel Outdoor Americas, which owns tens of thousands of billboards across the country, announced Monday that it will be debuting a new kind of consumer-tracking system called Radar. Following in the footsteps of targeted advertisements seen on the web, Radar will tap into data from several partner companies to determine what kinds of advertisements will be displayed on a billboard screen. Just as importantly, the system will also track how good of a job the ads are doing at convincing people to look up the brand on their phones, or go out and shop. While Stevens admitted that the system “does sound a bit creepy,” he pointed out that mobile advertisers have been using the same data mining techniques for years to deliver targeted advertisements. To take advantage of this trove of information, Clear Channel is partnering with AT&T Data Patterns, the telecom giant’s data collection unit; Placed, which pays consumers for the right to track their movements; and PlaceIQ, which uses location information from apps to predict consumer behavior. All data used by Radar will be anonymous and aggregated, Clear Channel says, seeking to allay at least some concerns over privacy. The system was recently tested in Orlando, Florida, displaying advertisements for the shoe company Toms. Clear Channel said that it used Radar to determine that people who saw the ads were 44 percent more likely to buy a pair of Toms shoes, according to Fortune. While the new tech could help revamp billboards, which look like dinosaurs compared to the algorithmically sophisticated online ads, privacy advocates have concerns about tracking the online behavior of consumers in the real world. Jeffrey Chester, executive director of Center for Digital Democracy, told the NY Times that most people don’t realize that they are being monitored, even if they agree to allow companies to track their behavior and movements. “It is incredibly creepy, and it’s the most recent intrusion into our privacy,” Chester said. Clear Channel is set to bring Radar to major population centers such as New York and Los Angeles, and eventually plans to make the technology available across the country.